Custer County is a rural mountain county located in the center of the state of Idaho. 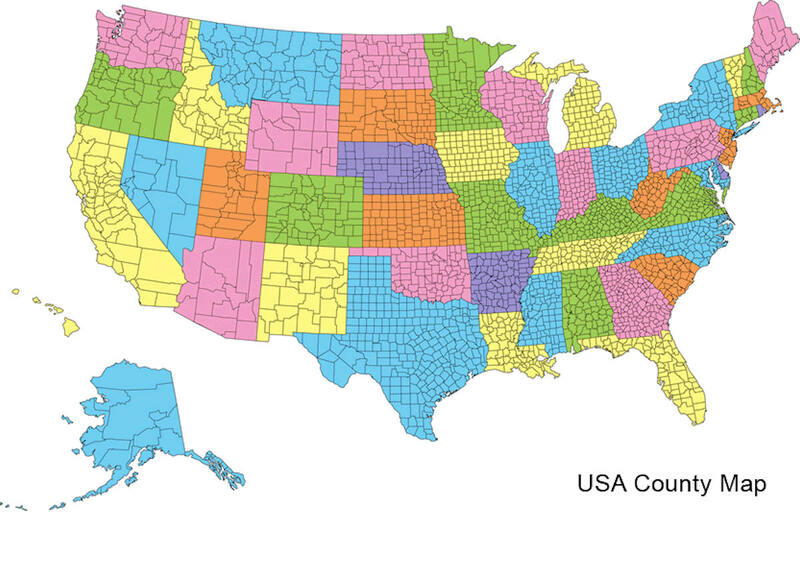 Based on the 2010 census, the population was 4,368. Custer County was created on January 8, 1881. The county seat is Challis. Custer county is named for the General Custer Mine, where gold was discovered five years earlier. Custer County is named for the General Custer mine, in turn named after General George Armstrong Custer. Established January 8, 1881 with its county seat at Challis. Named for the General Custer mine, which was named in honor of General George Custer who died at the Battle of Little Bighorn. Its history begins with fur traders and pathfinders as early as 1824; later in the 1860s and 1870s prospectors and miners came. 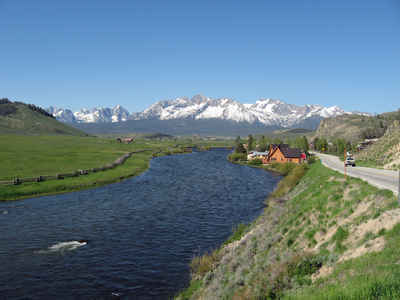 It contains portions of the Sawtooth, Salmon River, White Cloud, Pioneer, Lost River, and White Knob Mountains and contains the highest peaks in the state. As reported by the Census Bureau, the county has a total area of 4,937 square miles (12,790 km2), of which 4,721 square miles (12,230 km2) is land and 16 square miles (41 km2) (0.3%) is water. It is the third-largest county in Idaho by area. 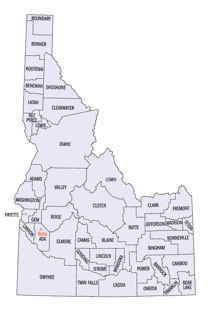 Custer county is located close to the center of Idaho. The Lost River Range, the state's highest mountains, are located in eastern Custer County. The highest is Borah Peak, the highest natural point in Idaho at 12,662 feet (3,859 m). On the western border of the county is Idaho's famous Sawtooth Range; the tallest is Thompson Peak in Custer County, above picturesque Redfish Lake. Twenty miles (32 km) east are the White Cloud Mountains, the tallest of which is Castle Peak at 11,815 feet (3,601 m).